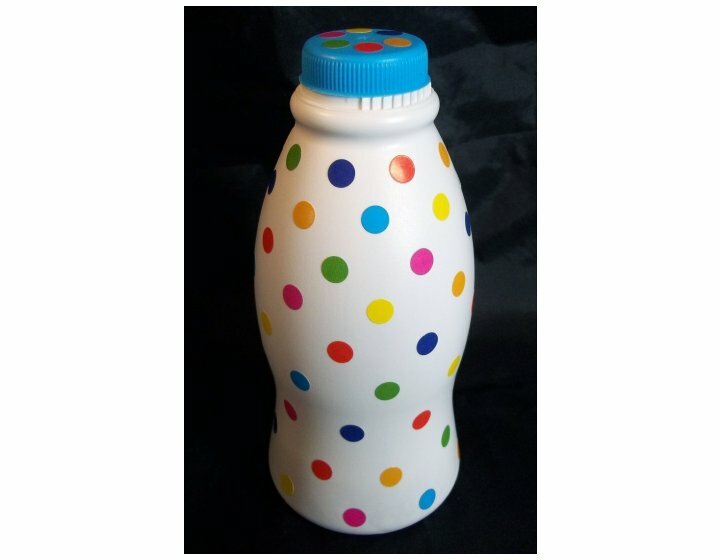 Music can easily be created from items around the home, here we are using empty plastic bottles (with screw tops) and some dry beans, lentils and rice (each filling creates a different sound). 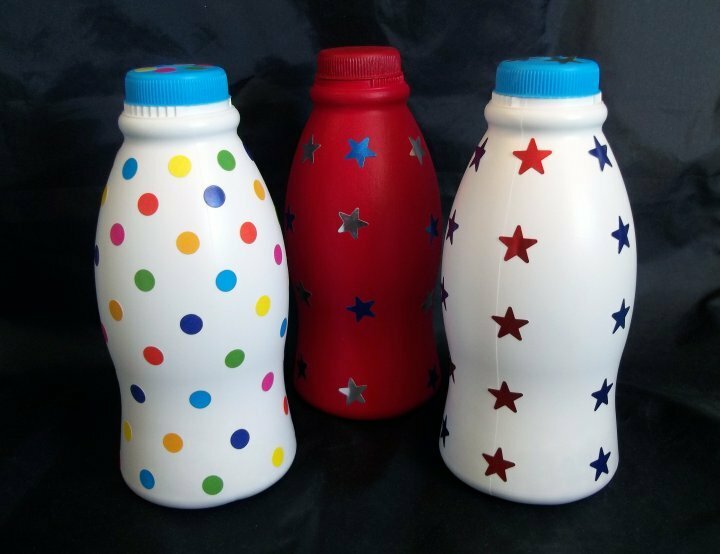 To add a bit more fun to the mix we are decorating the bottles with brightly coloured stickers. 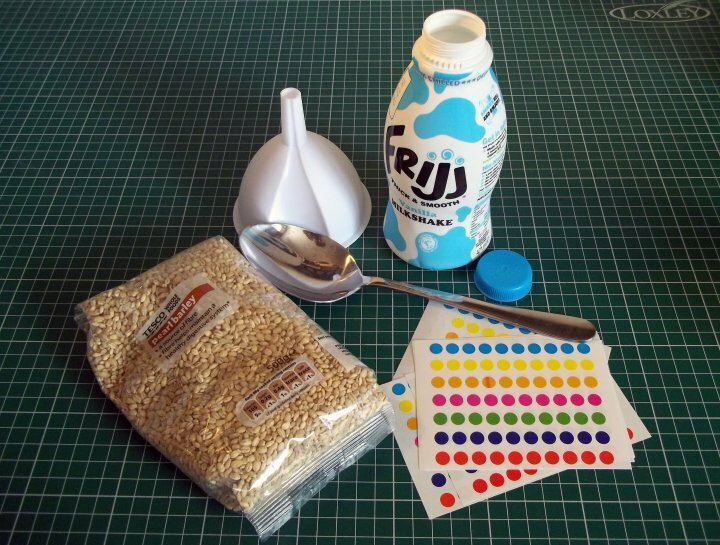 This is a great project for younger children or for a school club. As with all projects for children, adult supervision is recommended. 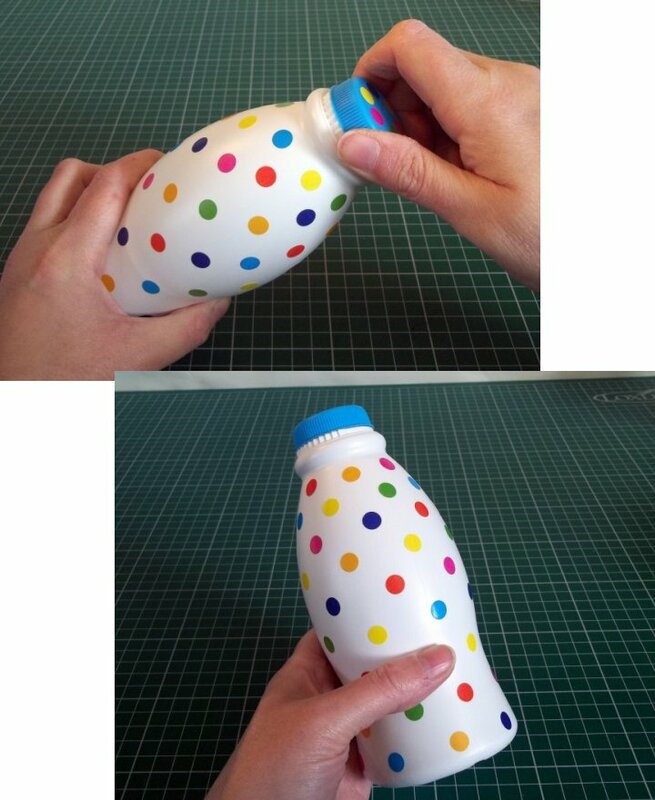 You can colour the bottles with several layers of thin acrylic paint or a spray paint instead of the stickers, but check to make sure that the paint will adhere to the plastic bottle and always remember to protect yourself and your work area. 1. 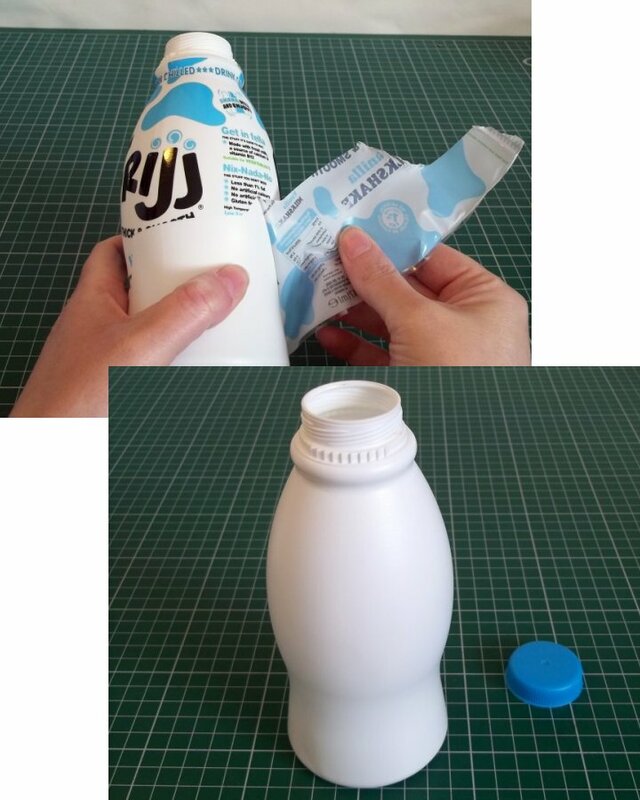 Wash, dry & remove label from a plastic bottle. 2. 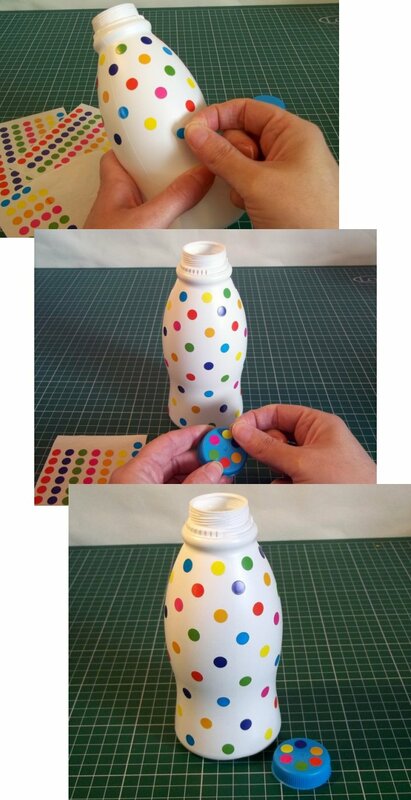 Decorate bottle & lid with stickers. 3. 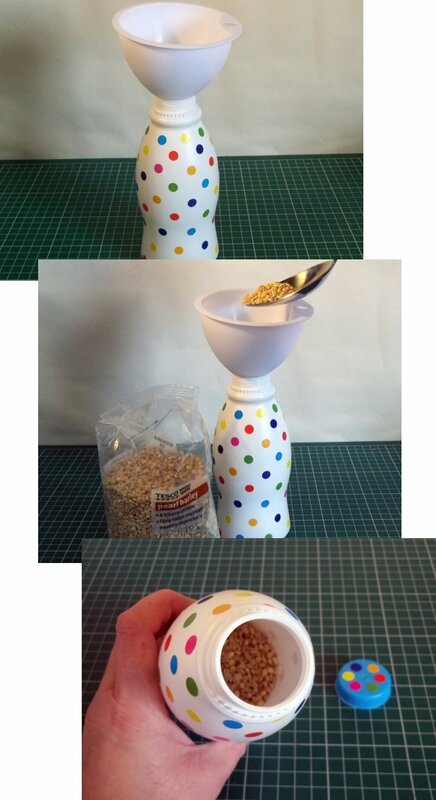 Place the funnel in the neck of the bottle and pour in 3 or 4 spoonfuls of dry rice, lentils or beans. 4. 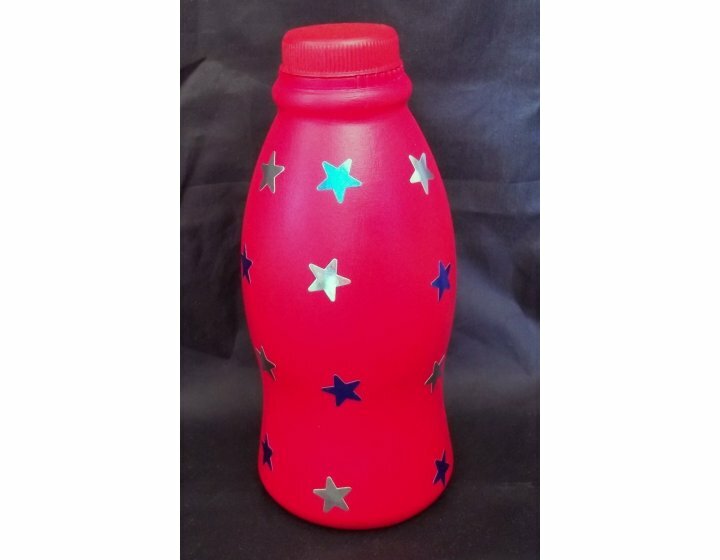 Screw lid on tightly and start shaking. 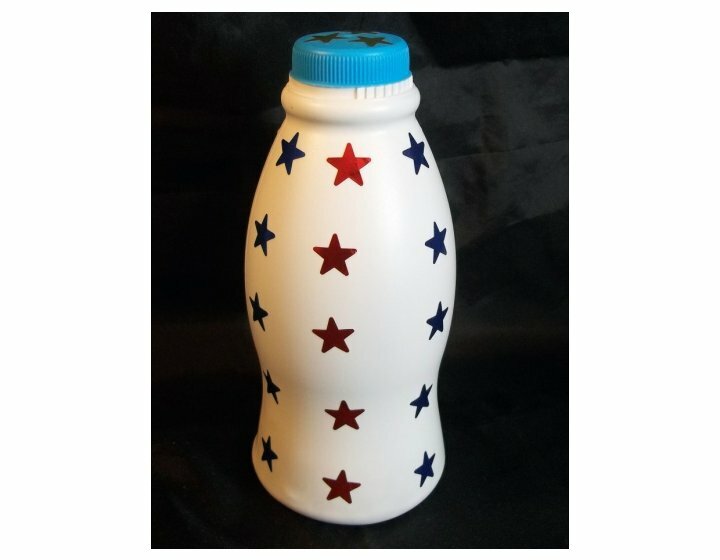 Decorated with red & blue star-stickers on the bottle, gold star-stickers on the lid. Painted with several layers if thin acrylic paint and blue & silver star-stickers.